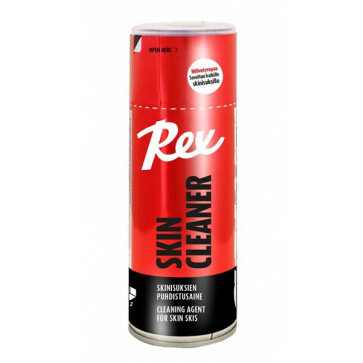 Effective cleaner for all skin skis. Safe for all manufacturers' mohair inserts. Hydrocarbon-free, does not weaken the glue of the insert. After treatment, apply Rex Skin Care spray or Hydrex 2 fluoro liquid to enhance the glide properties and dirt repellency of the grip zone.